Coronado Playhouse concludes its 2018 Season, A Family Affair, with Joseph and the Amazing Technicolor Dreamcoat, opening Friday, November 16th running until Sunday, December 16th, 2018 at Coronado Playhouse. Since its very first performance in 1968, Joseph and the Amazing Technicolor Dreamcoat has been a huge favorite from the professional stages of London’s West End and New York’s Broadway to schools and community theatres world-wide. Now celebrating 50 years of performances, Joseph has made its way to the Coronado Playhouse stage. The first collaboration of composer Andrew Lloyd Webber (Jesus Christ Superstar, Phantom of the Opera, Cats) and lyricist Tim Rice (Jesus Christ Superstar, The Lion King), this family-friendly show about the trials and triumphs of Joseph, Israel’s favorite son, blends pop, country and rock into an uplifting, technicolored story of biblical proportions. 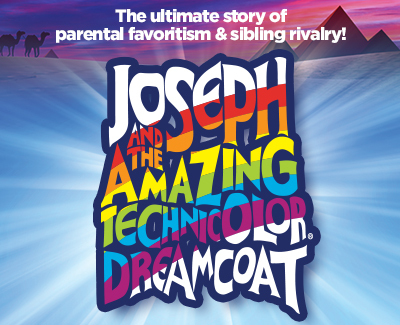 Retelling the story of Joseph, his eleven brothers and the coat of many colors, this magical musical is full of unforgettable songs including “Those Canaan Days”, “Any Dream Will Do” and “Close Every Door.” Over the years the musical has undergone various modifications and expansions. CPH will produce the 1991 West End revival version which expanded the original to include a fabulous, upbeat and colorful mega-mix celebratory finale. Director Jason Bailly makes his directorial debut at Coronado Playhouse with Joseph and is joined by a fantastic creative team comprised of Ricardo Valenzuela (Assistant Director and Choreographer) and Michael Anthony (Music Director). Bailly is no stranger to the San Diego stage having performed frequently with local theatre companies such as Moonlight Stage Productions, San Diego Musical Theatre and La Jolla Playhouse. 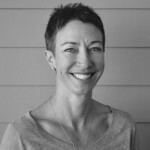 Valenzuela likewise frequents the professional stages of San Diego as well as being an active teaching artist, director and choreographer for San Diego Junior Theatre. The Playhouse is always pleased to welcome back regular MD Michael Anthony who has recently worked on CPH productions of The Addams Family, James and The Giant Peach and Seussical. The creative team has assembled an excellent cast featuring nineteen adult artists. Taking the title role of Joseph is Trevor Rogelstad, making his CPH debut. Returning to the Playhouse is Brandi Lacey as The Narrator. Lacey is a familiar face and voice to Southern California audiences as a frequent performer at Barn Stage Company, 3D Theatricals and Musical Theatre West and was last seen at CPH in The Best Little Whorehouse in Texas in 2012. This production also features fourteen youth artists who will share performances in the children’s choir. For some, this will be their first ever theatrical experience. Other young performers, who have graced the stages of SDMT and The Old Globe, will support their fellow cast mates. Tickets range from $20-$27 and are available through Coronado Playhouse’s Box Office, 1835 Strand Way, 619-435-4856 or online at www.CoronadoPlayhouse.com. The Bannister Family House’s mission is to provide a home away from home for families of patients undergoing long-term care at UC San Diego Health. Bannister Family House provides comfortable and affordable housing in Hillcrest and La Jolla. Since Bannister Family House opened on May 11, 1994, over 5,000 families from around the world have stayed with us. Bannister House is non-profit 501(c)3 organization and welcomes volunteers and donations to offset the costs necessary to care for the families that are dealing with loved-ones managing a serious health condition at UC San Diego Health.